The EGU General Assembly is held in the Austria Center Vienna, which is fully accessible by wheelchair. 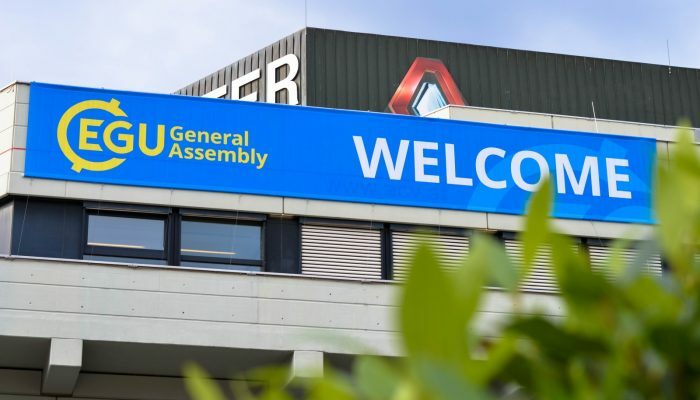 If you would like to learn more about attending the General Assembly in a wheelchair, Robin Wilson from the University of Southampton shared his experience at EGU 2016 in this blog post. 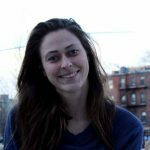 While a few things have changed since then, the majority of Robin’s report still holds. Poster halls have chairs available for people to sit down if needed and steps to help presenters hang up their posters. Additionally, each PICO Spot has a lower screen available for increased accessibility. Presentation rooms won’t be equipped with red laser pointers, as some people struggle to distinguish the laser dot from bright screens. Instead we encourage participants to highlight features from their slides using the screen’s cursor, which is more accommodating to everyone’s needs. On rooms with multiple screens, the screen’s cursor is also the only way to point to a feature on all screens simultaneously. In the 12 smaller rooms that have no lecterns, green laser pointers will be available for use instead. This year a number of rooms will be available during the General Assembly to ensure that participants can enjoy the conference activities, while still being able to take care of their personal needs. 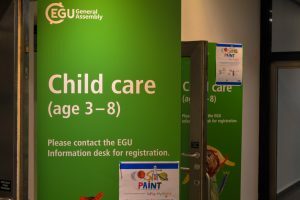 Assembly attendees with young children can take advantage of our free child care facilities, which expanded this year to accommodate more people, at the basement level of the centre (book in advance). 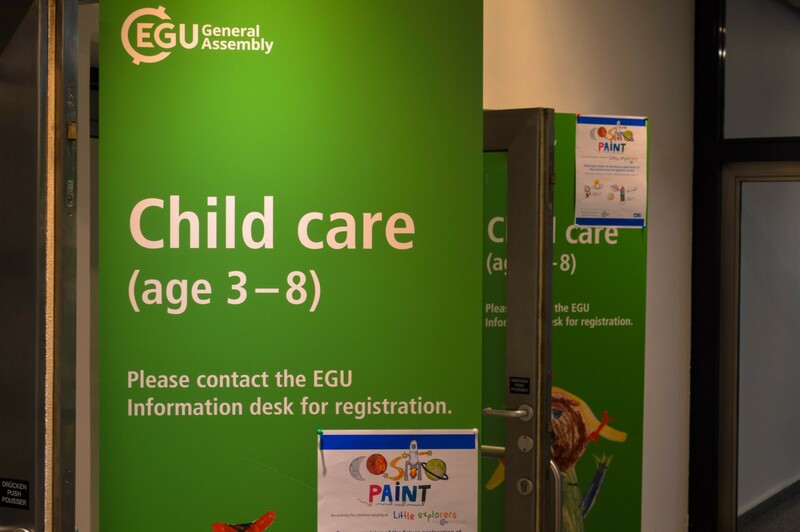 EGU’s childcare service is now fully booked, but for children younger than 3 years or older than 11 years, you can get in touch with the Kinderbüro Universität Wien GmbH to make arrangements in Vienna. Please note that this may incur separate costs that are not borne by the conference. This year a breastfeeding room located on the ground floor will also be available to participants. EGU 2019 participants can find space for rest, relaxation or meditation in the four quiet rooms available at the basement level, as well as use the two multi-faith prayer rooms, separated by gender, on the ground floor. Vienna has been praised by many for being one of the most accessible cities in Europe. Over the last 20 years, the city has been working towards becoming “barrier-free,” implementing many initiatives with accessibility in mind. For example, the city has replaced much of their cobblestones with flat, smooth surfaces and ramped kerbs. 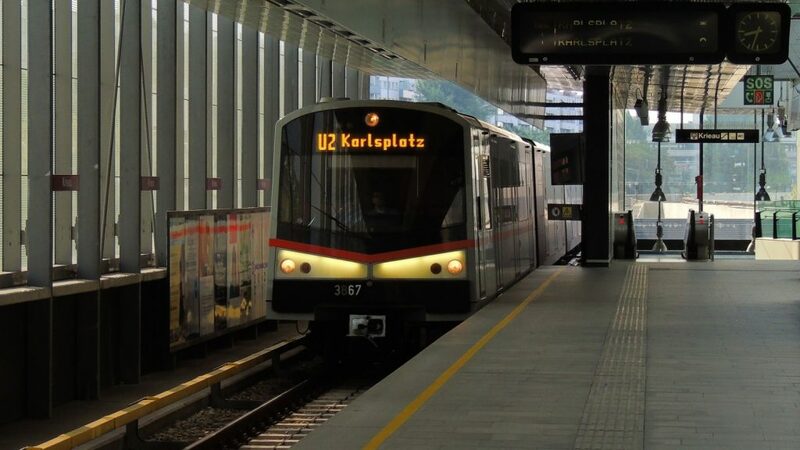 Most trains, trams and buses also feature low floors and step-free boarding options. Additionally, almost all stations are accessible by ramp or elevator and have “guiding strips” for visually-impaired visitors. You can go to the Vienna Tourist Board website to find accommodating hotels, specialised tour guides, recommended sights and services, and other information on the city’s accessibility. Participants are encouraged to give the EGU suggestions for how we can continue to improve the EGU meeting’s accessibility. You can give us general feedback when answering the 2019 General Assembly feedback survey and send more specific recommendations to the EGU Programme Committee chair.